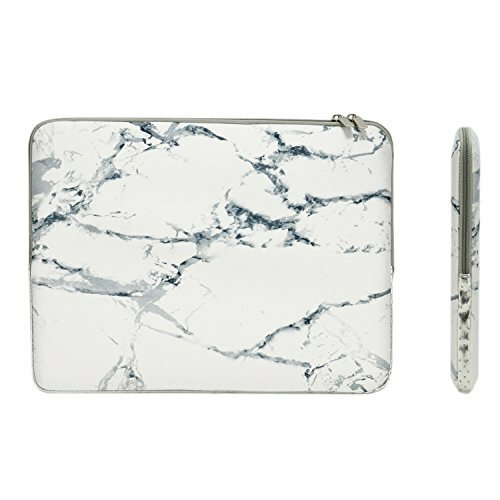 TopCase® Brand New Handy Zipper Sleeve Bag with Pockets / Compartments This is a newly designed sleeve bag for all 13" Macbook laptops including Macbook White, Pro and Air. It will fit mostly all other 13" laptops as well. Our sleeve bag is made from neoprene material that is soft, stretchable and durable for transport. 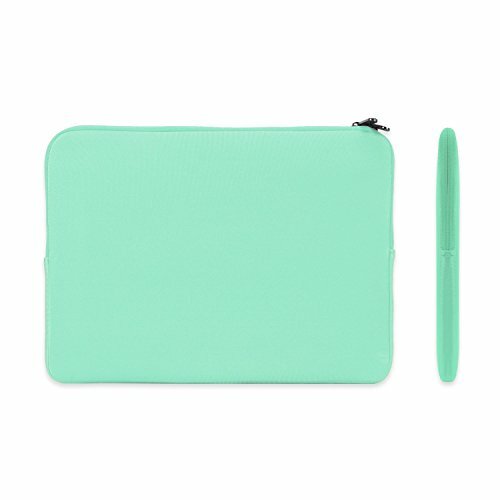 This sleeve bag contains two smaller compartments in the front for additional storage of accessories such as cell phone, wallet, keys, pens, mouse, usb etc... The sleeve bag has two inside handles that can be taken out for easy carry and transport if needed. 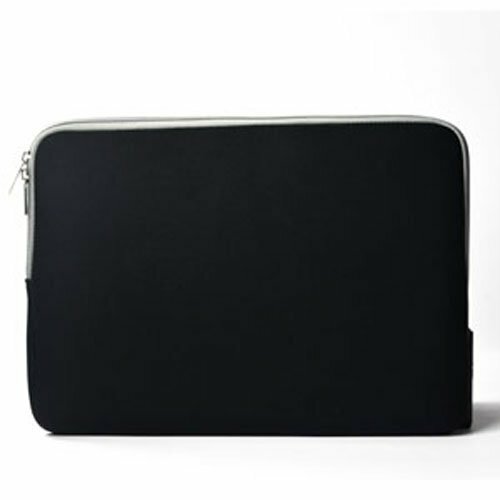 The sleeve bag will protect your laptop from scratches, dints, scrapes, spills and dirt. Bag Compatible with: All 13" Macbook laptops including Macbook White, Pro and Air * Apple MacBook are registered trademarks of Apple, Inc. Products are Apple compatible and not endorsed by Apple, Inc. Including a TOPCASE Mouse Pad. Exclusively for sale by TOP CASE ONLY. 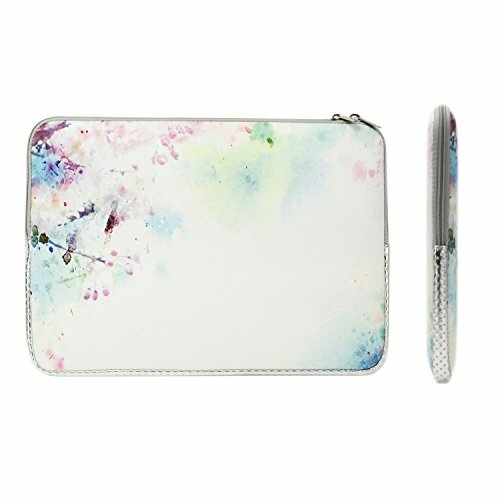 TopCase Brand New Vibrant Summer Series Zipper Sleeve Bag This is a newly designed sleeve bag for all 13" Macbook laptops including Macbook White, Pro and Air. It will fit mostly all other 13" laptops as well. Our sleeve bag is made from neoprene material that is soft, stretchable and durable for transport. 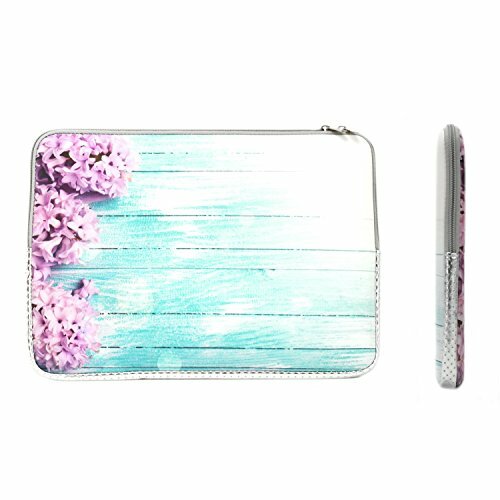 This Vibrant Summer Series sleeve bag contains metallic silver synthetic leather rim to make your laptop sleeve looks more charming!. 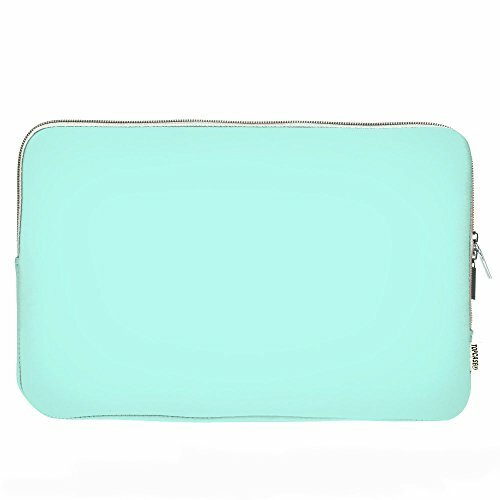 The sleeve bag will protect your laptop from scratches, dints, scrapes, spills and dirt. Bag Compatible with: All 13" Macbook laptops including Macbook White, Pro and Air * Apple MacBook are registered trademarks of Apple, Inc. Products are Apple compatible and not endorsed by Apple, Inc.
TopCase Brand New Handy Zipper Sleeve Bag with Pockets / Compartments This is a newly designed sleeve bag for all 13" Macbook laptops including Macbook White, Pro and Air. It will fit mostly all other 13" laptops as well. Our sleeve bag is made from neoprene material that is soft, stretchable and durable for transport. 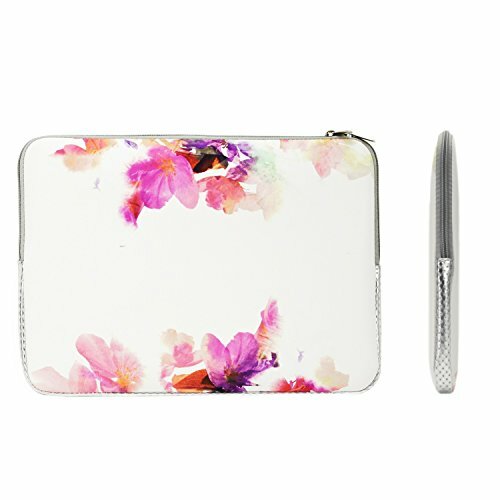 This sleeve bag contains two smaller compartments in the front for additional storage of accessories such as cell phone, wallet, keys, pens, mouse, usb etc... The sleeve bag has two inside handles that can be taken out for easy carry and transport if needed. 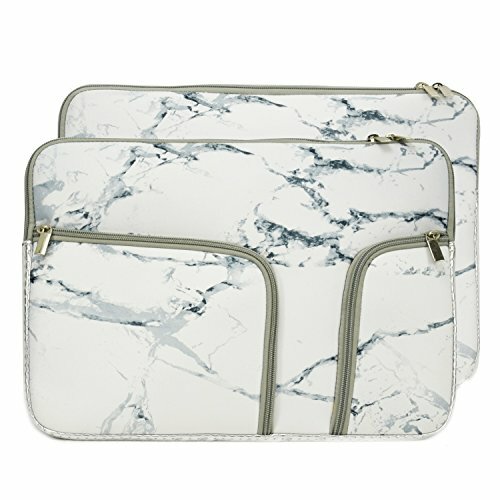 The sleeve bag will protect your laptop from scratches, dints, scrapes, spills and dirt. Bag Compatible with: All 13" Macbook laptops including Macbook White, Pro and Air * Apple MacBook are registered trademarks of Apple, Inc. Products are Apple compatible and not endorsed by Apple, Inc.
TopCaseRubberized Coating Hard Case This ultra slim case is light weight yet it is durable and long lasting to protect your laptop from everyday use. Our case is engineered to be snapped on and off easily. You can conveniently have access to all your buttons and ports when the case is on. All of our cases are made with the highest standards so that your laptop is always protected from scratches, dints, scrapes, spills and dirt. This is a limited product and is exclusively ours. 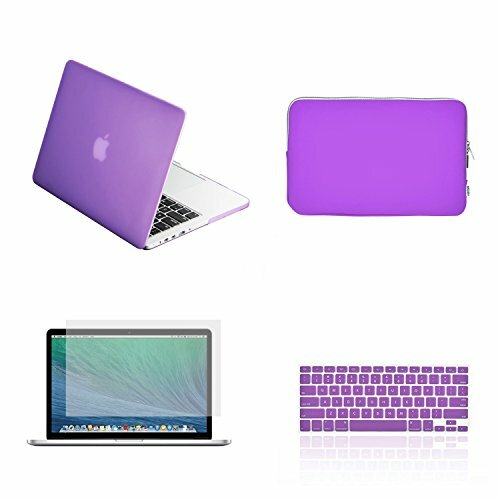 Case COMPATIBLE with Apple Macbook Pro 13.3" with Retina Display: Model - A1425 MD212LL/A, MD213LL/A, ME662LL/A ME664LL/A Model - A1502 ME864LL/A, ME865LL/A, ME866LL/A Case NOT compatible with: Macbook 12" Macbook White 13"2016 NEW Macbook Pro 13 Inch with or without TOUCH BAR. Old Generation Macbook Pro 13" without retina display Macbook Air 11" and 13" Macbook Pro 15.4 with/without retina display * The model number can be found on the bottom of your laptop in between the two hinges in the format AXXXX. * *Apple MacBook are registered trademarks of Apple, Inc. Products are Apple compatible and not endorsed by Apple, Inc. 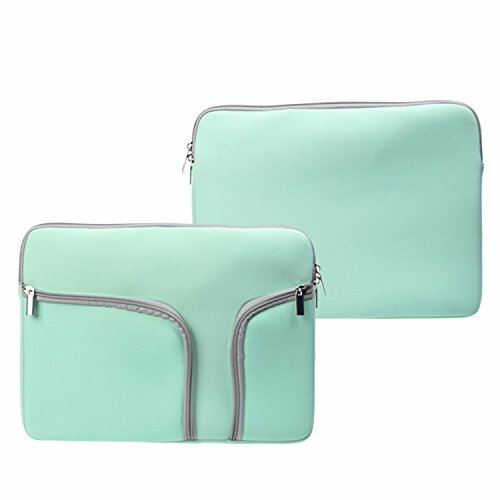 Compare prices on Zipper Top Case at Elevelist.com – use promo codes and coupons for best offers and deals. We work hard to get you amazing deals and collect all avail hot offers online and represent it in one place for the customers. Now our visitors can leverage benefits of big brands and heavy discounts available for that day and for famous brands.